Age Limit : Candidates upper age limit should not exceed 28 Years. Age relaxations will be applicable as per the rules.Refer Official Notification for More Details. Educational Qualification : Candidates should have done B.E. / B.Tech / Engineering Degree / M.Sc. / M.Tech / MCA or its equivalent qualification from a recognized university.Refer Official Notification for More Details. Selection Process : Selection will be based on Performance in Gate Score 2016, Interview . 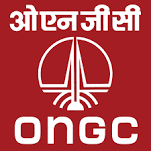 How To Apply : All Eligible candidates may fill the online application through official website http://www.ongcindia.com before or on 01.10.2015. Last Date for Registration of Online Application Form : 01.10.2015.